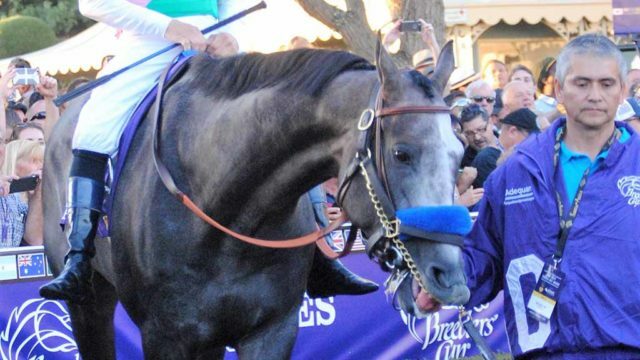 A series of events tied-in with the Breeders’ Cup world horse racing championships are scheduled to begin Saturday around Del Mar and San Diego. The kickoff event is the 35th annual Jake’s Fun Run, which raises funds for Friends of the Powerhouse, Del Mar’s community center, and the San Dieguito Boys & Girls Club. As a bonus, actress and animal advocate Bo Derek will lead the runners down to the beach while riding horseback. On-site registration at Jake’s Del Mar, 1660 Coast Blvd., gets underway at 8 a.m. The 5K run starts at 9:30 a.m.
— Friday, the sold-out Bash at the Beach at the Powerhouse. The Breeders’ Cup races, at Del Mar for the first time, are scheduled for Friday and next Saturday.